After serving in WWII, Gene Slaymaker majored in Radio Journalism at Ohio State University where he was a member of Sigma Phi Epsilon and Sigma Delta Chi while being a reporter and announcer for WLWC-TV. Upon graduation, he was an anchor and reporter for Youngstown, Ohio’s WKBN-AM-FM-TV before joining Cleveland’s KYW-TV. 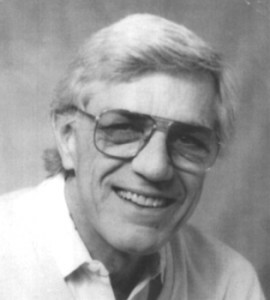 In 1956, he became News Editor of WFBM-AM-FM-TV. In 1960, he founded public relations firm Slaymaker and Associates. Nine years later, he was recruited to WTLC-FM and WTUX-AM radio where he served as News Director for 18 national award-winning years. Contest judges called him the “voice for those who had no voice. Slaymaker died December 15, 2012.